Find your favorite dentist. Start below. The Smile Generation would love to keep in touch with you. Get helpful info for a healthier, happier smile. A full range of services for a wide range of smiles. 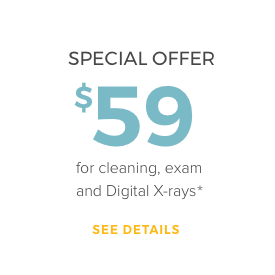 Experience comprehensive dental care with advanced, proven technology-all under one roof. Your smile is important. So is your budget. We provide a variety of ways to help you get the care you need. Creating healthier, happier Special Smiles. We make serving a priority, and partner with great organizations like charity: water to help people in need. General Dentistry and Specialty Practice. Specialists listed on this website are defined by the ADA. The advertisement is paid for by participating dentists who have paid a fee to participate. No representation is made about the quality of the dental services to be performed or expertise of the participating dentists, and that participating dentists are not more or less qualified than dentists who are not participating in the service.